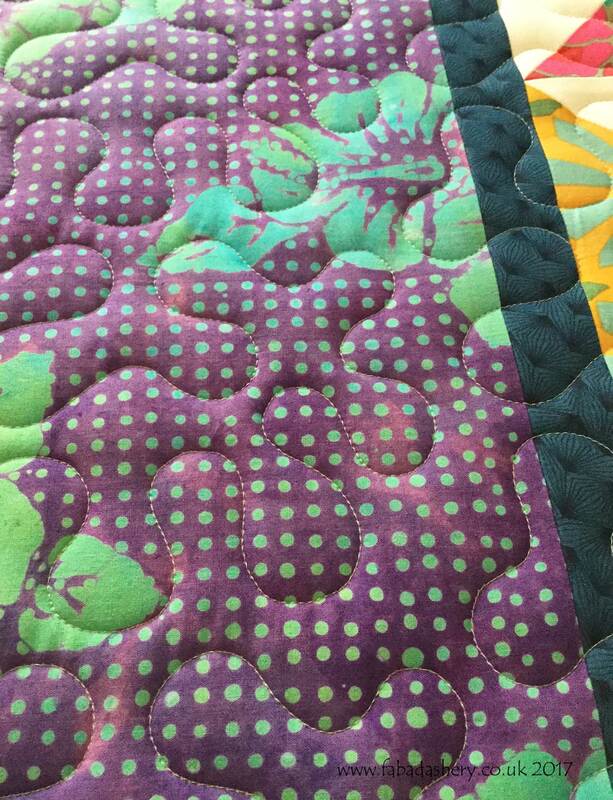 I have been flicking through my photos and realised I had some lovely Project Linus quilts I hadn't shared with you. 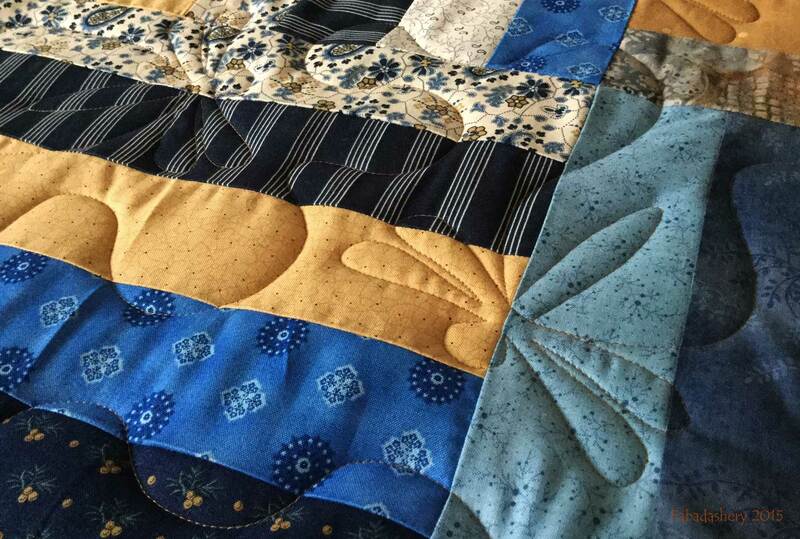 This lovely quilt was made by Ruth. 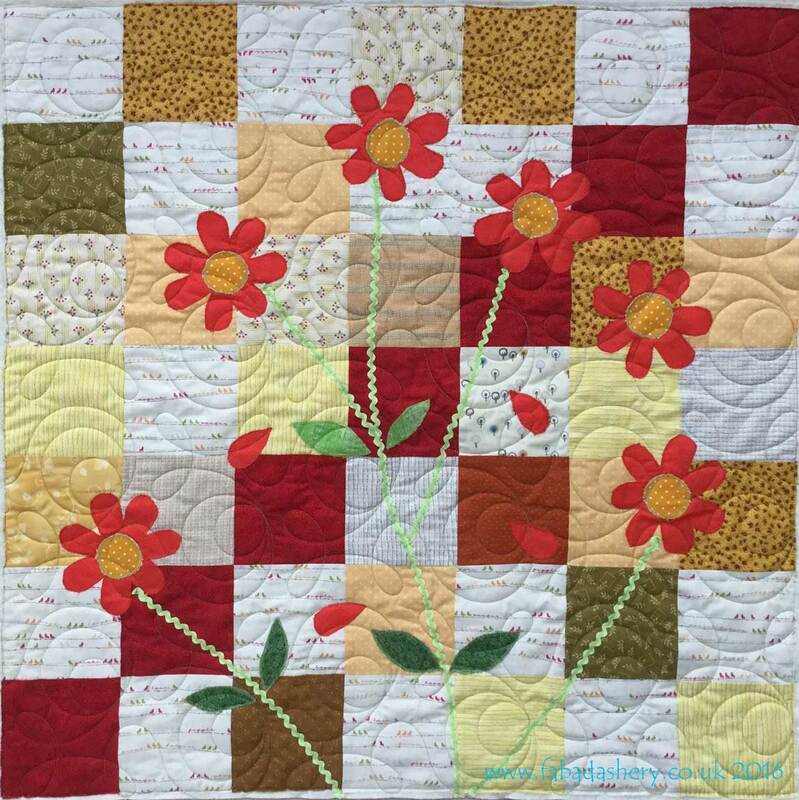 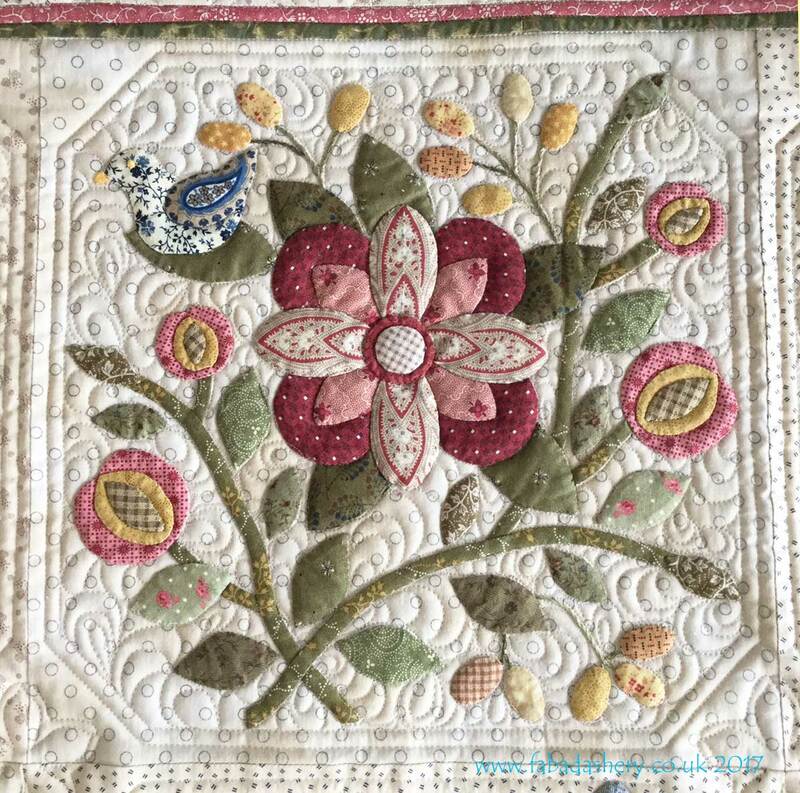 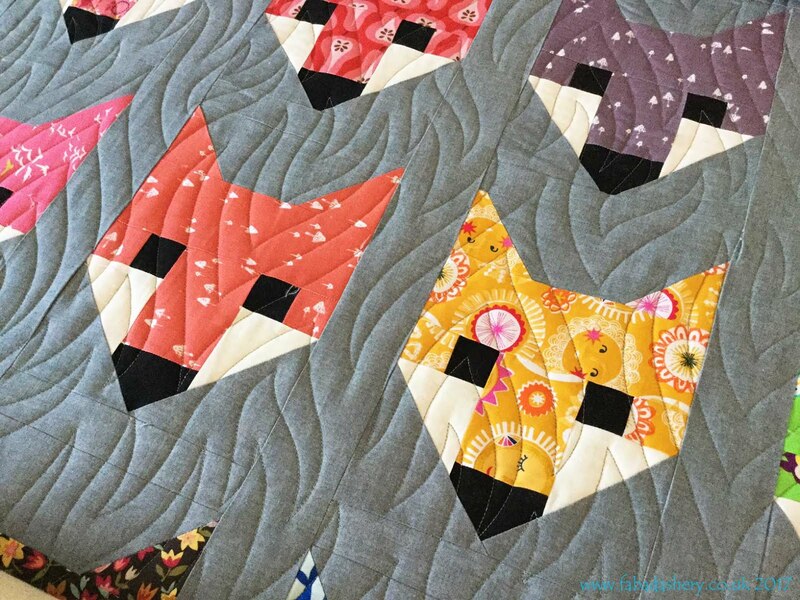 She attended one of the stitching days last year and made this lovely cheerful quilt as a result. Simple squares make up the background, but it is the appliqued flowers and ric rac stems which transform it into something special. 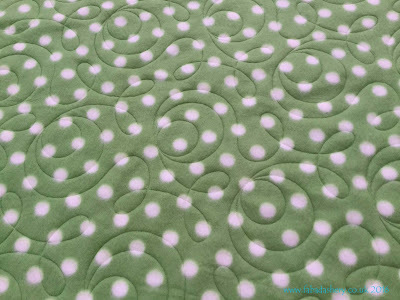 ﻿On the back we had a cute green spotted fleece fabric. 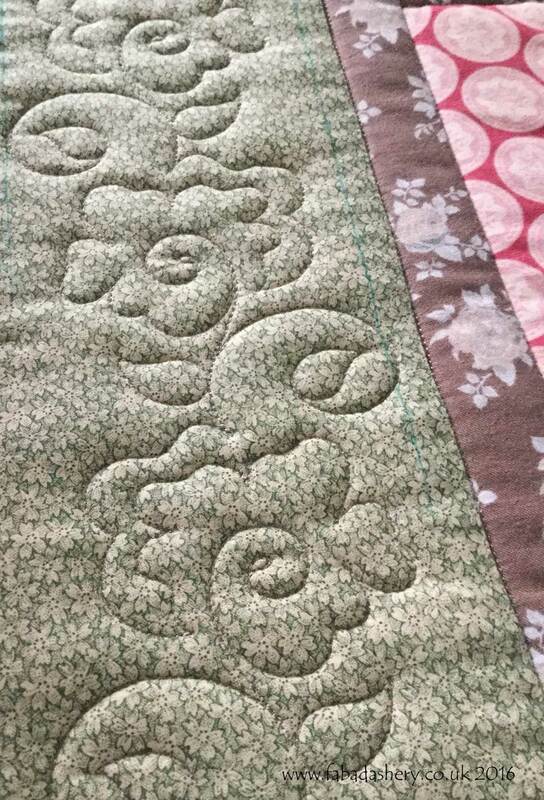 I find the quality of fleece can vary, but this one came up beautifully. 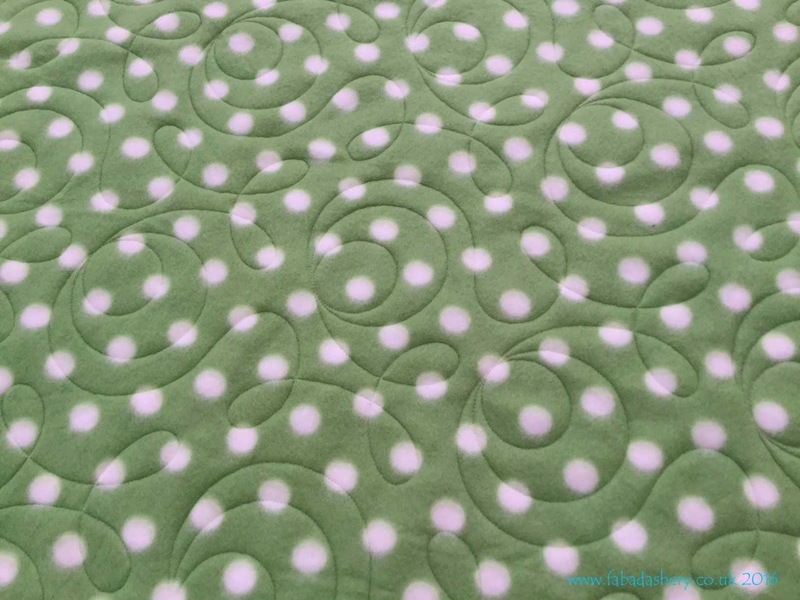 The pattern is called 'Ginger Snaps' by Apricot Moon and the circular pattern seems to echo the spotty fabric. 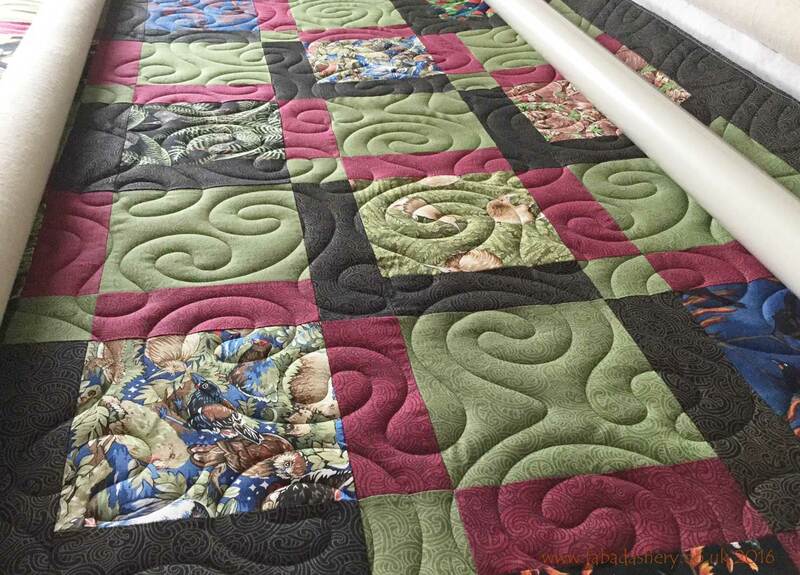 ﻿The local South East Wales Project Linus group have just announced another Project Linus stitching day for May 2016. 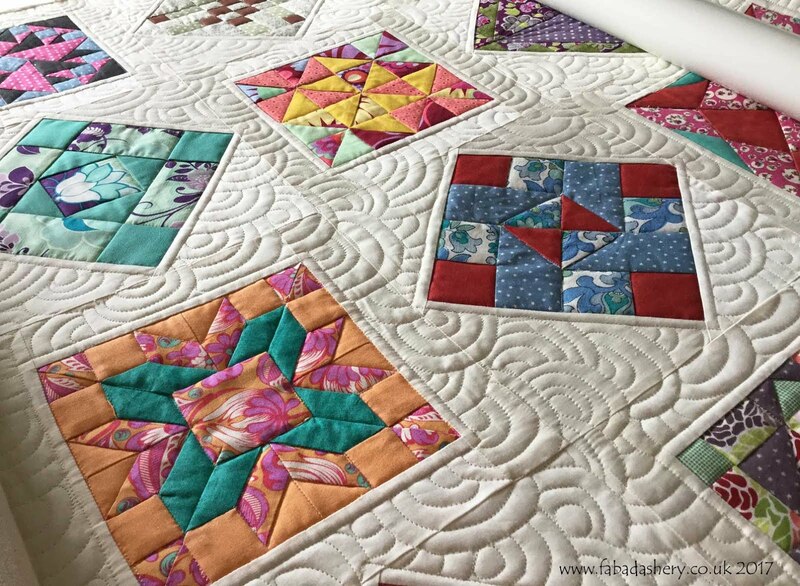 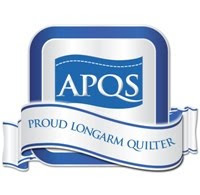 If you would like to go along to help cut, stitch or bind quilts, or like Ruth take away some bits and pieces to make up a quilt at home for Project Linus, the details are on the Fabadashery Long Arm Quilting Facebook page. 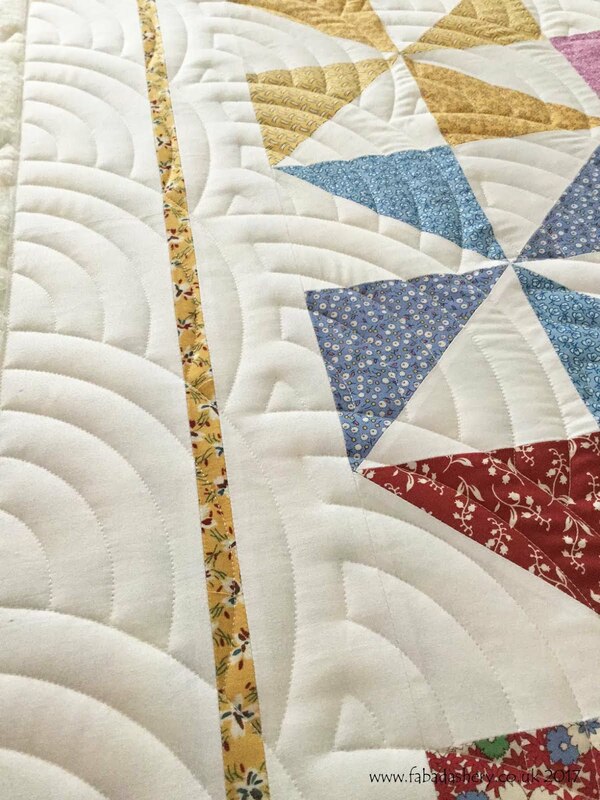 That's a fun quilt to have ... just what you need to cheer yourself up.